Offering you a complete choice of products which include yueyang plasma cutting torch, arcut plasma cutting torch, plasma cutting torch, ep plasma cutting torches, aircraft plasma torch and plasma torch consumables parts. YUEYANG 100 Plasma Cutting Torch. 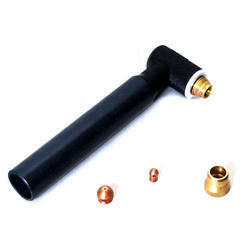 We are among the reputed manufacturer and supplier of superior quality Arcut Plasma Cutting Torch. These are some high quality cutters that have been widely demanded in the major markets for its optimum features. We have made use of the most advanced technologies in the making of this range. Customers are offered this cutter at market leading price. 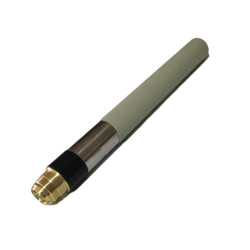 Plasma cutting Torch manufacturer, Plasma Cutting torch parts, Plasma Torch manufacturers, Air Plasma cutting Torch manufacturers, Air Plasma Torch parts, Plasma Consumables suppliers, Plasma consumables manufacturers. India's Largest manufacturer of All Types of plasma cutting Torches, Plasma cutting consumables, Plasma consumables. 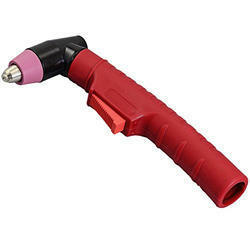 We put on offer for our coveted customers this high quality and most demanded cutting product range Air Plasma Cutting Torches. The offered range of torches has been specifically prepared by us for heavy-duty industrial purposes. Customers can easily avail this torch from us at the most comprehensive and market leading price range. The torch makes use of high pressure inert gases that are at such as a high temperature to melt and cut the metal sheet of any thickness. Manufacturer of Aircraft plasma Cutting torch, Aircraft Plasma Torch, Ap plasma cutting torch, Aircraft Plasma Torch, Arc cut 30 plasma torch, Arc cut 50 plasma torch. We are instrumental in providing our clients with this exclusive range of Aircraft Plasma Torch. The offered plasma torch has been widely appreciated in the markets for its optimum quality and efficiency. It is extensively used in cutting purposes of thick metal sheets. We have given it an easy grip for easy workability. 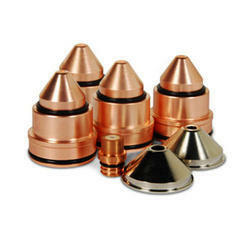 We are offering our clients this exclusive range of best quality Plasma Torch Consumables Parts. This qualitative range can be easily availed from us as per the particular specifications and we have a wide variety to offer. Customers can stay unwary of the quality as we have thoroughly checked it before the final dispatch. Manufactured in strict compliance to the standards of the industry, the offered range of Nitrogen Plasma Cutting Torch is in wide demand. This torch is specifically used in special cutting of various metals of vivid thickness. 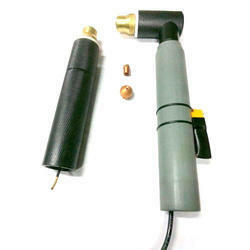 Customers can avail this torch from us at comprehensive prices in stringent and sound packaging. Owing to our immense manufacturing capacity, we are able to offer to our customers this high quality range of AP Plasma Consumables. Used in various applications in many industries for plasma cutting operations, this range is easy to use and completely compatible with plasma torches. Well known for their longer service life and robust construction, these consumables are available with us at the most comprehensive and market leading price range. 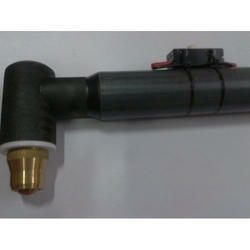 Clients can avail from us this exclusive range of quality Plasma Cutting Torch. This torch has been made available to the customers at the most comprehensive and market leading price range. It has been in wide demand at major industries for the optimum cutting efficiency it offer. 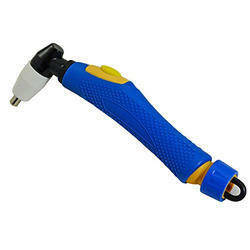 This torch has been given an easy to handle grip and a safe and sound wiring. 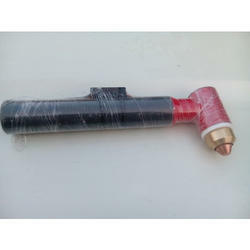 Plasma Cutting Torch Manufacturer, Plasma Cutting Torch suppliers, Plasma Cutting Torch, Plasma Torches, Plasma consumables, Cut100 Plasma Torches. 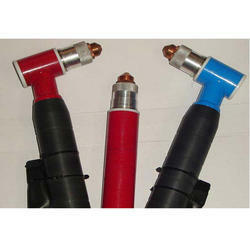 Looking for Plasma Cutting Torches ?